Make the cupcakes as directed on the cake box. To make Wormy Cakes...cut the gummy worm in half. 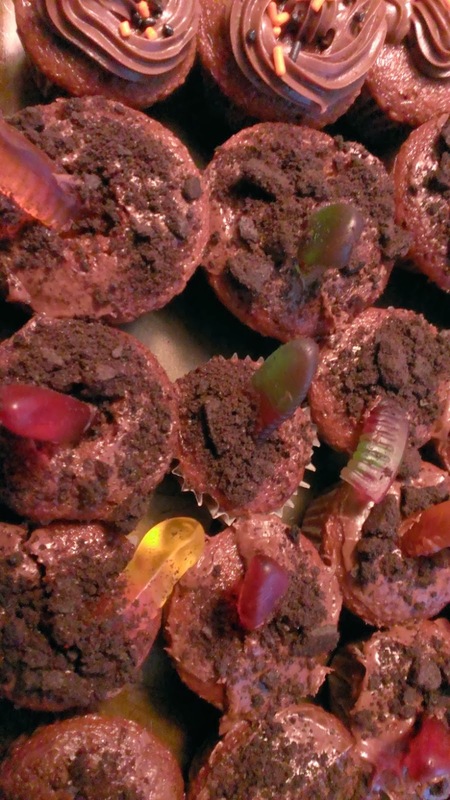 Stick one half of the worm in the center of the cupcake. 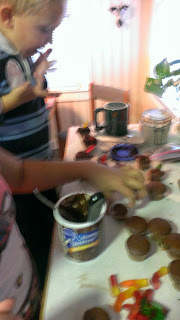 Add frosting around the worm then sprinkle with chocolate wafer cookie crumbs. 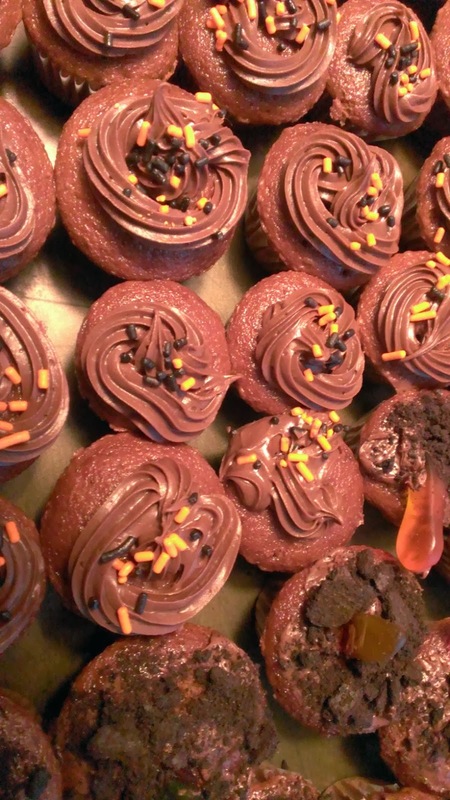 The cookie crumbs look like dirt. 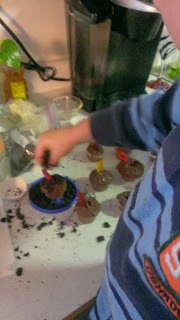 Isa piped the cupcakes ~ Davey add the dirt and I put the worms in their holes.